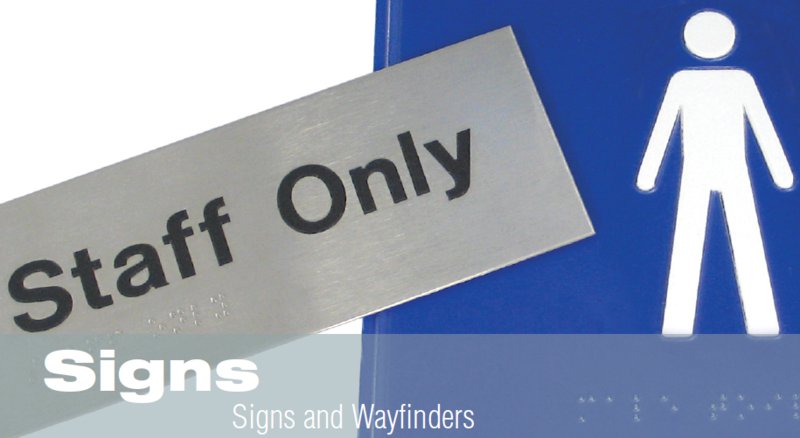 We have a great range of signs and wayfinders that can be delivered directly to you. Signs and wayfinders are an essential part of our daily lives. Signage should be concise, easy to read and use clearly contrasting colours that stand out in their surroundings. In an area outdoors, such as a parking area, offering signage above ground level ensures that directions are still available in the event of snow or other debri covering road markings. Consideration should be given to make sure that signs above ground level do not act as an obstacle or risk to those with impaired vision. Consistancy in font, design and colours throughout the building or outdoor area is important to ensure that official signage is readily identified. Signs giving directions for disabled people should show recognisable symbols for access.